The perfect, garden-inspired, detox water. Add a little Rosemary to your favorite beverage (ours is water), and your senses will come alive. One of our favorite flavor combinations this season is fresh rosemary, lemon and raspberry. It’s simply refreshing! 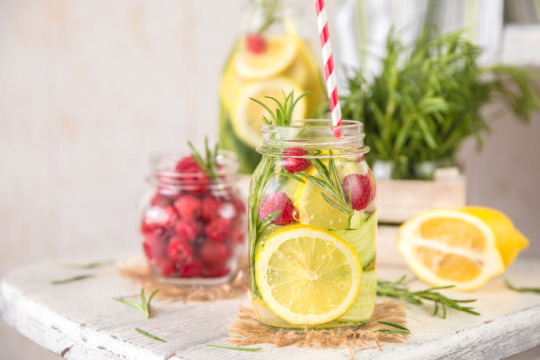 For each glass of water (or tea) add two slices of lemon, one or two springs of fresh rosemary, and a handful of frozen raspberries. Enjoy! November 03, 2017 by Corinne L.